Tenleytown is a neighborhood in the upper Northwest Quadrant of Washington, DC. The neighborhood is the highest point in the District and is home to Fort Reno, which was built to protect Washington during the Civil War. The neighborhood draws its name from John Tennally, who owned a popular tavern in the area in the late 16th century. The Tenleytown neighborhood has always had a significant retail presence, starting in 1941 with the opening of a Sears department store on Wisconsin Avenue. Today national retailers including Best Buy have a presence in Tenleytown. The neighborhood is close to American University whose students frequent the restaurants and shops in the Tenleytown commercial area. 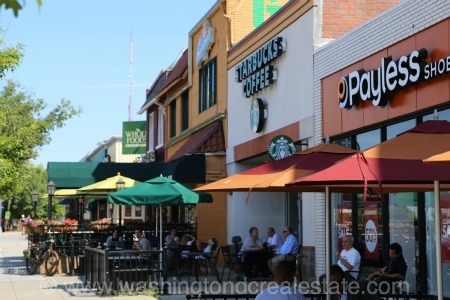 Tenleytown has a Metro Station and offers convenient commuting to major Downtown employers.